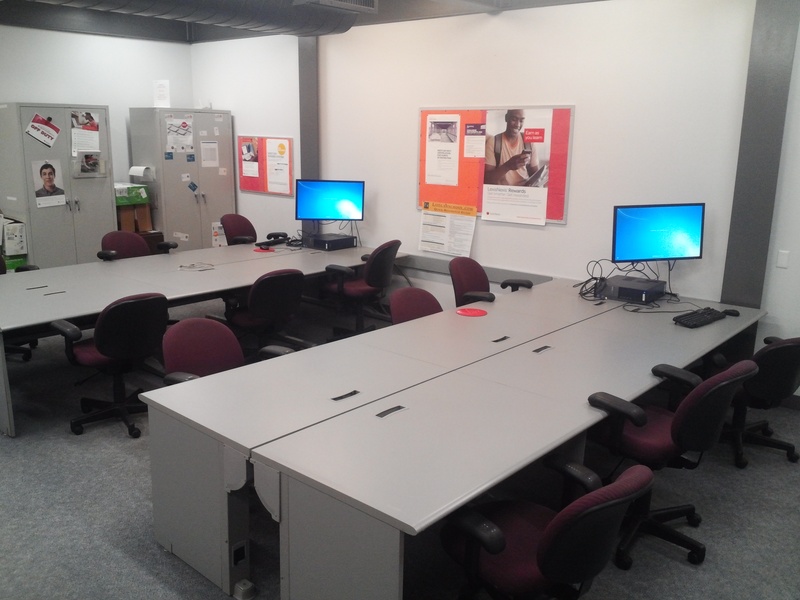 The Study Lab is a collaborative study environment that encourages group work. Students do not need to speak quietly as they do in the rest of the library and can discuss their work here together. Three over-sized monitors are attached the wall so students can share what they are viewing with everyone at the table. Students can also plug their own devices into the monitors for quick collaboration. Westlaw and Lexis Nexis Representatives are stationed in the Study Lab to help students with database searching.